Hey everyone! Welcome back to my blog :) I’m almost up on my year abroad, what a whirlwind it has become. I’ve been lucky enough to live in Cornwall for the last month, and wanted to share the top 9 things to do when you’re here! 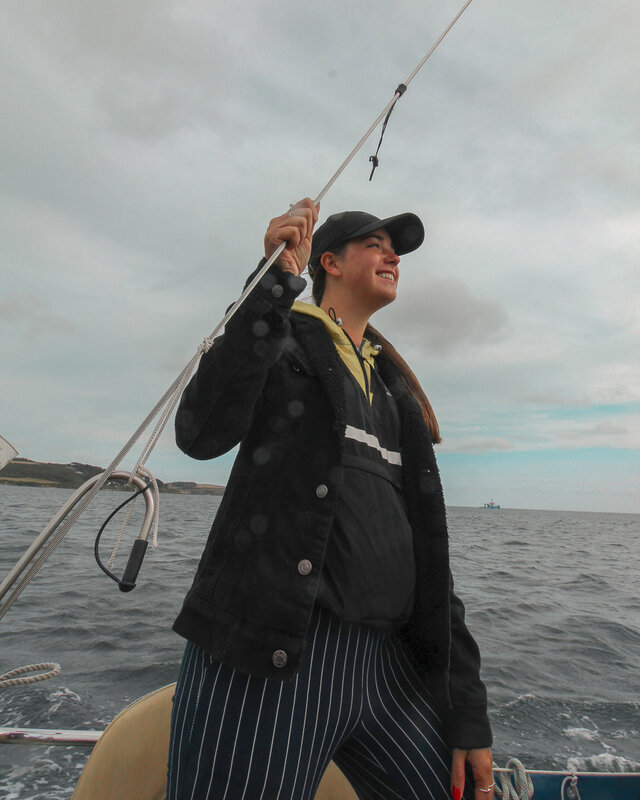 I had the amazing opportunity to go sailing while I was on the west coast on England in the county of Cornwall. Cornwall is known as the county with tons of coastline! There are over 400 MILES of coastline just in this county alone. If you don’t see Cornwall from the sea, you are missing out. This is an absolute must have when in Cornwall. This classic treat is the perfect afternoon snack consisting of 2 scones, clotted cream, and strawberry jam. I can tell you now, after your first one you’ll be ADDICTED. There is a debate between counties Cornwall and Devon which comes first… the cream or the jam. But who cares, its delish. The north coast of Cornwall is known for it’s beautiful beaches, surfing and rugged coast line. I would recommend going to Perranporth, as it is a stunning beach where you can walk for kilometers across the white sand dunes. Also has a cute town with lot’s of nice shops and cafes! The Eden Project is located close to St Austell in an old quarry that has been turned into 2 bio domes, to show that regeneration of land is possible on a deserted site! The price of one ticket allows you access to the facility for an ENTIRE YEAR. So it’s well worth to go a few times on your trip.! This was by far one of my favourite places. This open air theatre is literally dug into the rocky cliff of the north coast, near Land’s End. It may look like an ancient Roman Theatre, but it was actually constructed in the last 20 years to promote local plays and playwrights. You can purchase a ticket for a short visit, or you can see a play as well! St Michael’s mount is a castle located on the south coast of Cornwall, about a kilometer from the mainland! You can access the Mount by walking a low tide, or taking a boat taxi at high tide. It is twinned with Mont St Michel on the north coast of Brittany. Located not too far from Falmouth, Trebah Garden is a little paradise full of 1000’s of species of plants! It is a beautiful oasis of native and imported flowers and trees. It also has the nicest cafe, with a beautiful design. This is BY FAR the most important thing to do while in Cornwall! The classic pasty is a pastry filled with a savory filling such as beef, or onion and cheese. mmmmm! If you enjoyed this post, please give it a like or post a comment to let me know you enjoyed it!